Why spend your Thanksgiving dedicating hours to cooking and cleaning up when you can relax and enjoy the Happy Thanksgiving Buffet hosted by the Renaissance Resort at World Golf Village? Each year, the folks at the Renaissance prepare a full Thanksgiving feast with all the trimmings. This Thanksgiving, which falls on November 22, the resort will no doubt exceed expectations with another delicious banquet. The Turkey Day meal is perfect for an entire extended family looking to enjoy everyone’s company, or just a couple seeking a quiet, no-fuss holiday meal. The Happy Thanksgiving Buffet will last from 11 a.m. to 3 p.m. and includes entertainment by Ken Edwards. The cost is $48 for adults, $42 for seniors and $26 for children. Forget the stress of cooking this year! Make reservations today by calling (904) 940-8696. 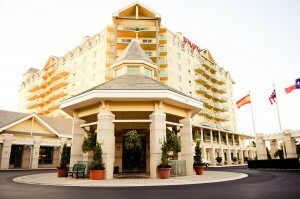 The Renaissance is located at 500 South Legacy Trail, St. Augustine, 32092, in heart of World Golf Village.